We all have it, unwanted facial hair. While men can just shave off their scruff, we women have to do little more to get rid of our 'stache. Here is a list of facial hair removal methods, and their upsides as well as their down sides. Women should not shave their facial hair with a traditional razor. There is however special razors made just for this purpose! The Finishing Touch Facial Razor for women can be bough at Walgreen, Walmart, online and more. It is pretty common. Pros: It is easy, fast, pain free, inexpensive ($20), and it lasts a long time, I have had mine for 2+ years and it's battery just barely died. I put a new one it, and it's as good as new! It's also great for trimming the hair on your arms because it comes with guards allowing you to trim the hair without shaving it all off. Cons: The results just don't last that long. If I used this exclusively I would have to use it every 3 days minimum! Yikes! Plus it does tend to make the hair a little more coarse in the future. And it's harder to sculpt eye brows with. 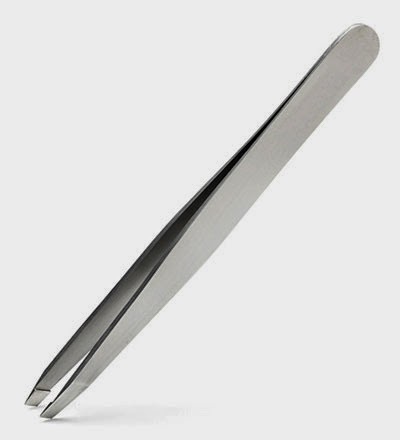 This where you use small metal tweezers to pluck out each individual hair. Pros: It's very inexpensive. You only have to buy the tweezers (pictures on the right) and those cost $1-$4. You can do it home. It usually lasts a medium amount of time (around 3 weeks). Cons: It is time consuming! To pluck eyebrows alone can take up to 30 minutes, and that is not including any facial hair at all! Plus it does hurt just as much as waxing. A preferred method beloved by women everywhere. This method requires that you go to a salon and pay someone to use warm wax to shape and remove facial hair from eye brow to chin. Pros: It is fast (20 minutes max) and the results last up to 3 weeks! If you exclusively wax your eyebrows (and other facial hair) you will only have to get it waxed every single month eventually, which is nice. Cons: You have to pay for it every time. One time a month at $10 each time is $120 a year! Plus it does hurt, not for very long, and the more often you go it hurts less, but it does hurt. The only other downside is that if you do not wash the area that has been waxed really well after you will most likely break out. 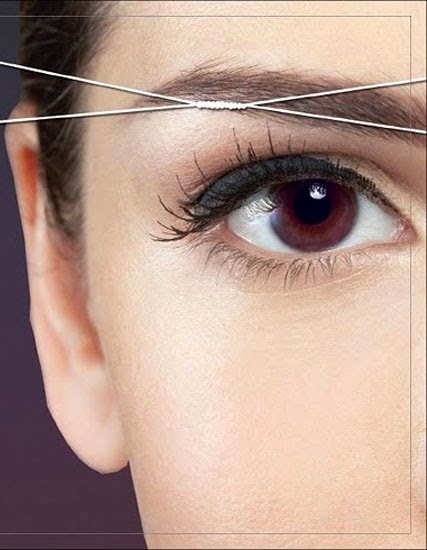 Threading is basically tweezing with string. Two long pieces of cotton tread are rolled over your skin and then wrapped around a single hair and pulled out. The big difference is that you can tweeze your own eyebrows at home, but you have to have someone else thread your eyebrows. Pros: It lasts about 3 weeks. You have to have someone else do it, and if you go to a professional then you are probably going to get some gorgeous eyebrows! Cons: You generally have to pay about $10 for it. So that would put you at $160 a year (if you had it done every 3 weeks). It can take a while (around a half an hour each time). It is just as painful as tweezing. This method uses a special laser to kill the hair growth follicles in the skin, so that you become hair free! Well, hair almost-free. Most people report that 98% of their hair is gone, but there are a few hairs that still poke up at times. Pro: The effects are permanent. Cons: It's expensive! It costs on average $1,716 - $2,574! It is a little time consuming, you have to go in for several 1-2 hour sessions of laser hair removal before it is completely gone. Although that does mean that you no longer have to spend time tweezing, waxing or anything else! Why does it cost so much to go to a salon? Does Trimming Your Hair Help It Grow Faster?